Would it be too fanciful to call Kern the George Washington of American musical theater, in that he led it to independence and guided its first years? In John McGlinn’s sparkling, tender recording of “Sitting Pretty”, you can hear the fledgling American musical stretch its wings and take off from the nest of old world operetta. It soars into uncharted territory in numbers like “Shufflin’ Sam” (which mixes banjo accompaniment with a reference to Dvorak- the richness of these orchestrations is incredible) and “The Enchanted Train”. A warning: Track Five (“Bongo on the Congo”) contains stereotypes and attitudes which were unfortunately widespread in America at the time. They do not in any way represent the views of the Eda Kuhn Loeb Music Library, but to deny or ignore them would be to deny or ignore what was sadly a part of American musical history. Davis, Lee. Bolton and Wodehouse and Kern: the Men Who Made Musical Comedy. The story of the Princess musicals and the men who created them. Morris, Joan and Bolcom, William. Silver Linings. A nice survey of Kern songs. Various. Jerome Kern in London and Hollywood. Contemporary artists offer their take on Kern rarities. 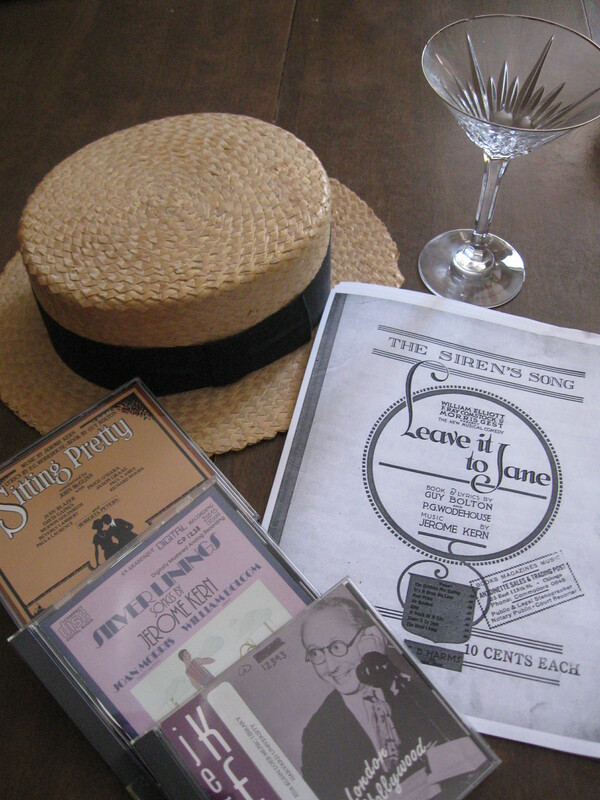 It’s also worth pointing out that there is an extensive series of collections of early Kern sheet music – search “collected jerome kern” in sheetmusicplus.com or, presumably, elsewhere. There are about 16 volumes from 1906 to 1919. Not new engravings or anything like that but the books are inexpensive though be aware that some scores can be found on archive.org. The Library of Congress also offers some early Kern recordings superbly transferred, considering that they are acoustic – far superior to the transfers on the Lyrics of PG Wodehouse CD, useful though that disc is. As you may know, there is also now a two disc set also called The Land Where the Good Songs Go which is a newly created revue using early Kern songs. The arrangements are excellent: sounds like a chamber group, and a step up from piano-only revivals of early Kern. Those wanting to go deeper into Kern’s English roots might want to read Jerome Kern in Edwardian London, a monograph recommended to me by Steve Ross.